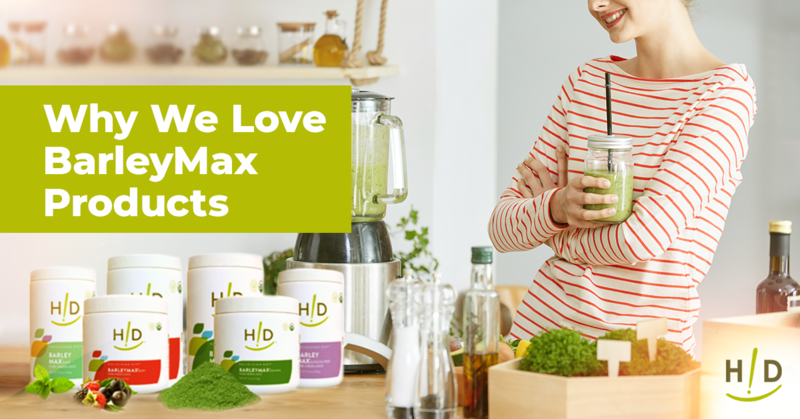 Paul Malkmus, CEO and nutrition expert Felix Corraliza, MBA, discussed and explored the multitude of benefits that silica can have in a live webinar last Tuesday night. After oxygen, silicon is the second most abundant element in the Earth’s crust. Everyone is born with about 7 grams of natural silicon in the body, though silicon levels decrease with age, about 1 percent each year. Silicon and silica are often interchangeable terms. Silicon acts a catalyst for many body mechanics and thus, our bodies require a permanent intake of it. Silica is integral in creating new bones and a deficiency can result in weak bones. Silica activates the enzyme prolil-hydroxidase that boosts collagen strength – it increases its production by as much as 19 percent. It also helps with wound repair and healing. 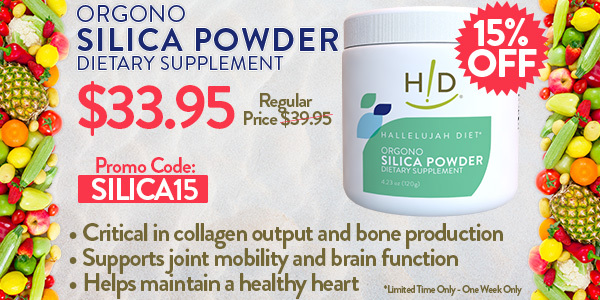 Ligaments and tendons are 90 percent collagen and thus, silica promotes bone health. Silica is essential for brain health because it binds with the element aluminum – which decreases cognitive function – to enable the elimination of deposits from the brain. Research also shows a strong link between aluminum in the body and the risk of Alzheimer’s Disease. Healthy aortas of the heart are rich in silica. They assure the elastic integrity that helps to regulate blood pressure. Lymph nodes hold the body’s highest silica content at 45 percent. Silica is part of the antibodies/antigens manufacturing process. The bioavailability of silicon for intestinal absorption depends on the solubility of the silicon compound. Higher grade silicas SHOULD be the most beneficial. 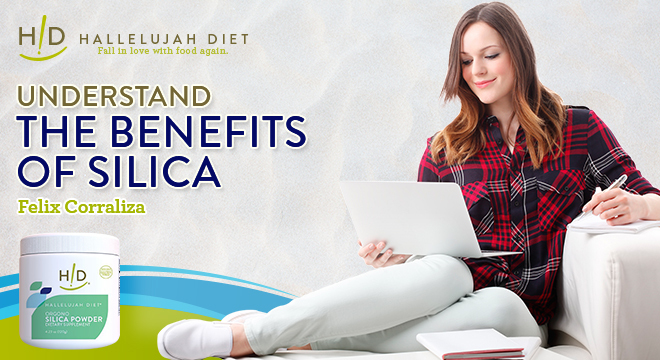 Now that you know all of its benefits, you’ll want to take advantage of the remarkable new Hallelujah Diet supplement Orgono Silica Powder. 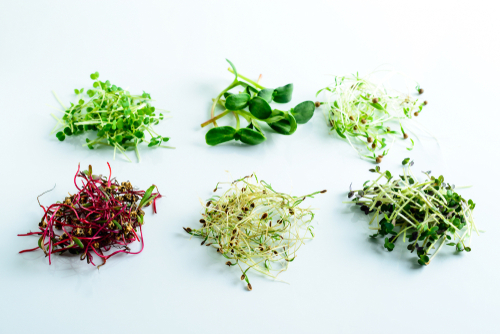 In the body, it’s the primary mineral catalyst where numerous biological processes begin. It’s essential for collagen output and bone production. It helps maintain a healthy heart. It aids in joint mobility and brain function. Not only does this supplement have a very high silica content per serving, but it’s also a highly absorbable silica. It’s fast acting and currently the best performing dietary silica available. 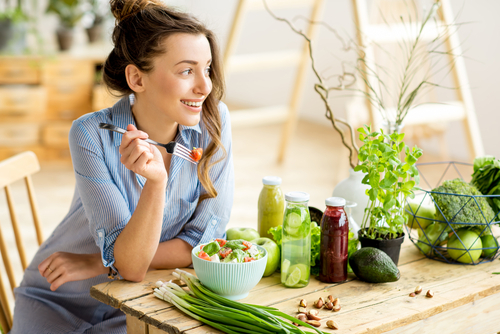 Good food sources of silica include whole grain bread and pasta, oatmeal, brown rice, oat and wheat bran cereals, bananas, mangos, green beans, and spinach.